Yao Ming Mania! 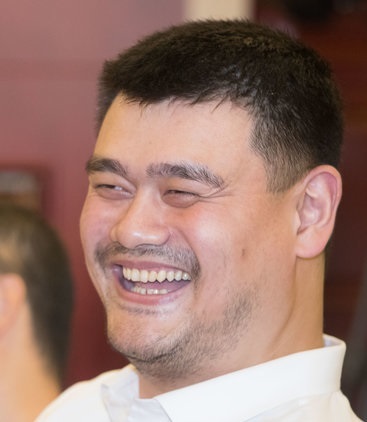 • View topic - BREAKING NEWS: Yao Ming Slam Dunks Into Wine Industry !! 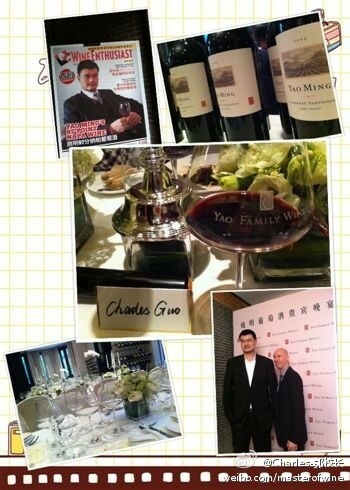 < Yao off the court; Yao's personality ~ BREAKING NEWS: Yao Ming Slam Dunks Into Wine Industry !! And on Friday (May 25), Adam Strum, the Co-Founder and Chairman of Wine Enthusiast Companies and Editor and Publisher of Wine Enthusiast Magazine flew to Shanghai to launch the Mandarin edition of Wine Enthusiast Magazine. And on that night, Yao Ming hosted a VIP banquet for celebrities/wine enthusiasts in Shanghai, sort of a welcome dinner reception for Adam Strum, and both share their happiness of Wine Enthusiast Magazine launching its Mandarin edition in China and Yao Family Wines scoring top marks in Wine Enthusiast Magazine's rating. Could not find much press reports about this event..... but managed to scoop the following photos from sina.com weibo. 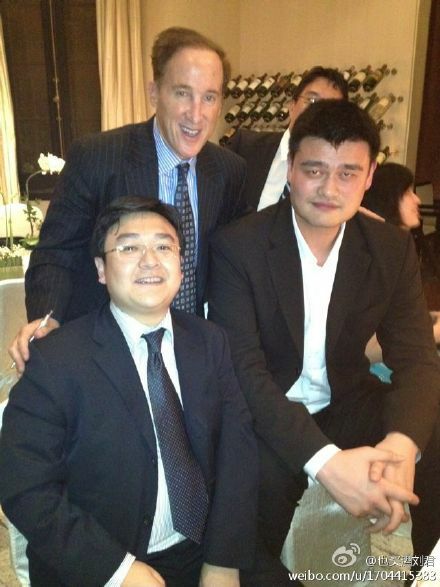 The Laowai aka foreigner standing behind Big Yao in the 3rd photo is Adam Strum. Have you tried Yao Ming's wine yet? do u need to ask?